Looking for love this Christmas? You'll find it at The Café at the End of the Pier... A feelgood novella and the continuation of the Café at the End of the Pier series. 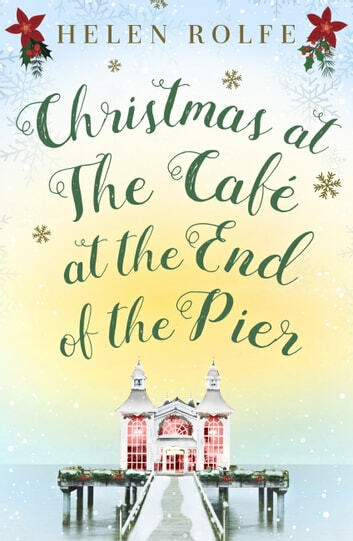 With her grandparents taking a long-awaited holiday, Jo finds herself completely in charge of the Cafe over the festive season. 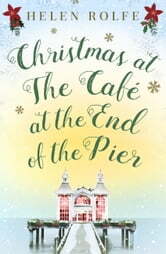 Salthaven-on-Sea is brimming with Christmas cheer - the pier is decked with tinsel and twinkling with lights, and the Cafe is full of the delicious aromas of Jo's mulled wine and freshly-baked cinnamon rolls. Love is in the air, too, and when another mystery postcard arrives, it's finally Jo's turn for a blind date... But who will be waiting underneath the mistletoe? The characters in this series are very likeable. This was the 4th and final book. It was a nice light read and was enjoyable. The author has a very descriptive writing style which makes you feel like you are there. These books are best read in order as the story is continuous.